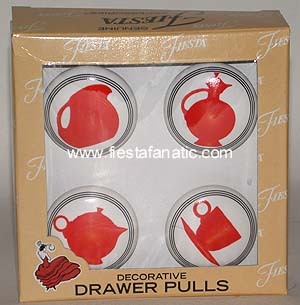 A couple packages of the cabinet / drawer pulls. An image from the HLC art department prior to the release of the pulls. 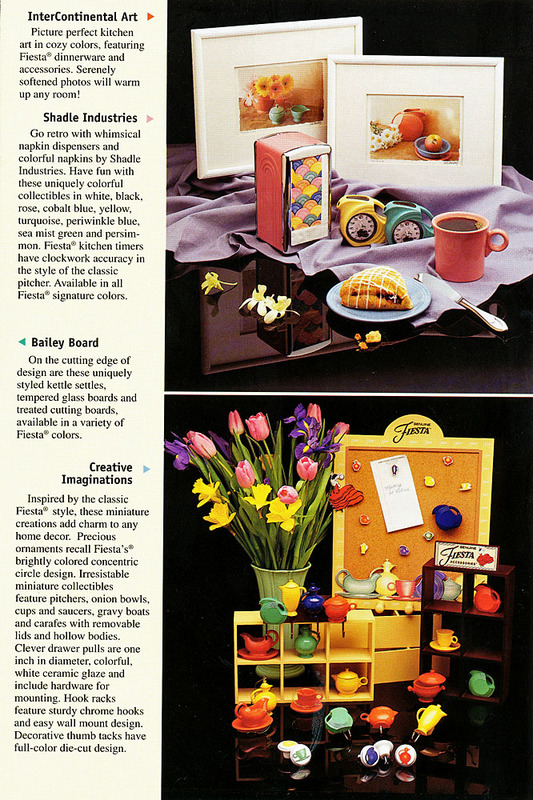 Page from the accessories brochure from the late 90s. 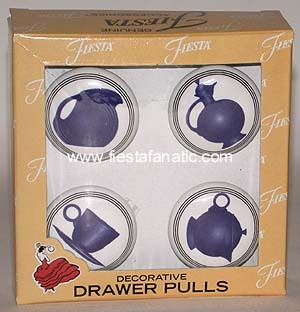 We carried the entire Fiesta line from Creative Imaginations in our store and they sold very well. We were heartbroken when CI decided to drop their gift line and go exclusively with scrapbooking supplies. Big mistake on their part. They were nice products, but I think all the the imagination went out of the push to sell the line, when HLC rejected the CI tea set in favor of their own design. 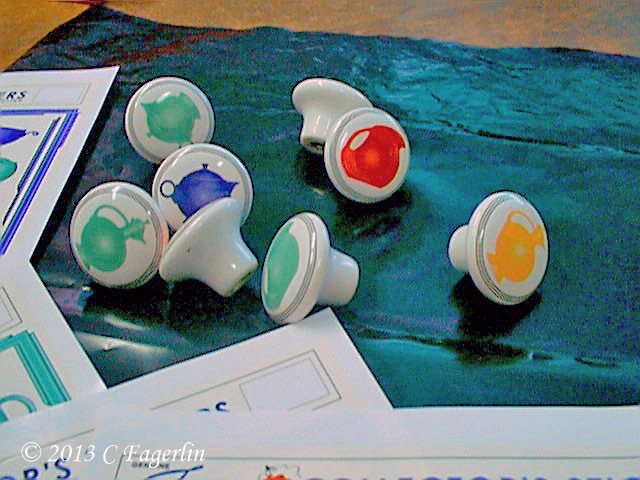 Here's the info on the prototype of the CI set shown with the HLC pieces for comparison.